I think this look is one of my favorites! 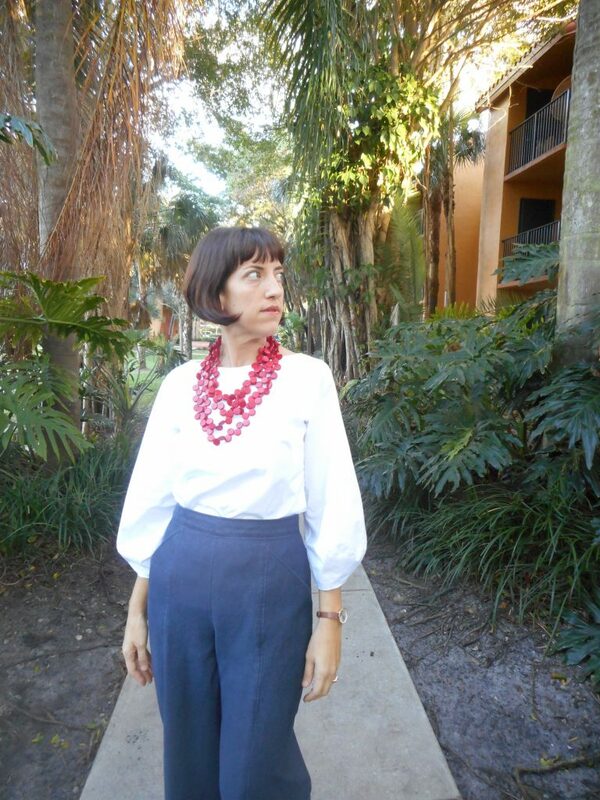 I love the simplicity of this white lantern sleeve blouse with the dark denim culottes. Both pieces are such versatile basics. Perfect for work and for the weekend. 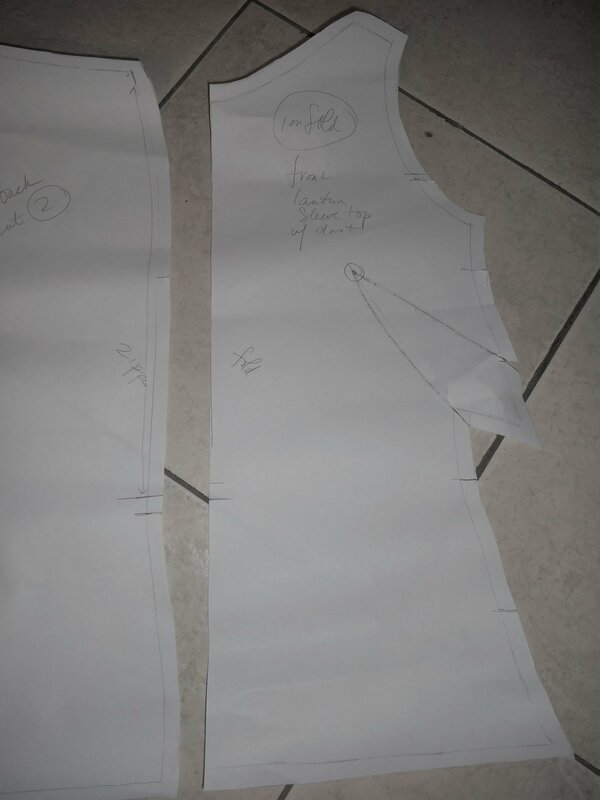 I wish I had started sewing pieces like these earlier! 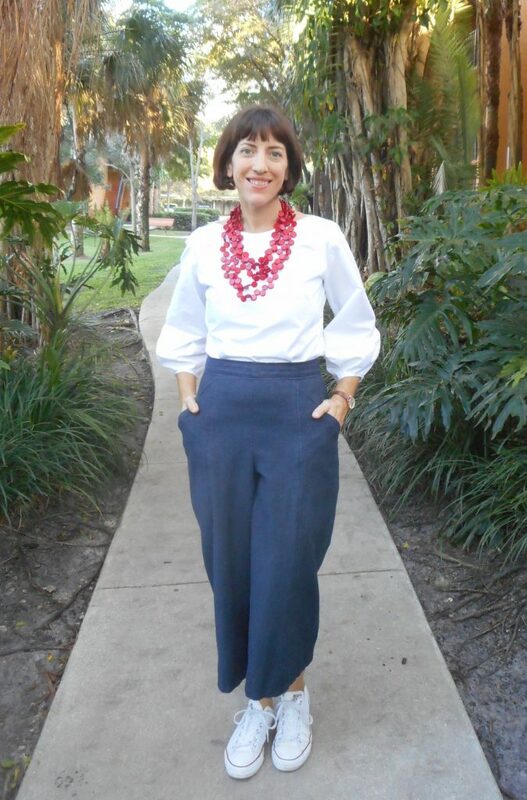 The denim culottes are my second version of my pattern hack/mashup of B5504 by Connie Crawford and By Hand London’s Holly Pant. 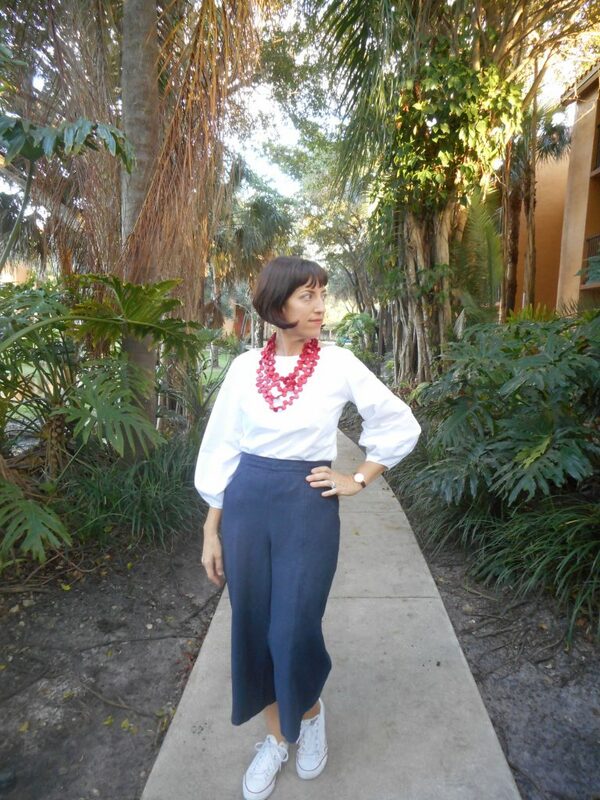 I did everything construction wise identical to my Rust Culottes so for more sewing details check out that post! These were made in a stretch Classico Indigo Denim(OOS) I found at Marcy Tilton. I cut the fabric with the selvedge at the hem-less finishing is always good in my book! It also helped to minimize the stretch since I wanted a fitted silhouette. The only changes I made with this pair were to widen the waistband slightly for a more stable band and to switch the zipper to center back with two hooks and eyes for closure. 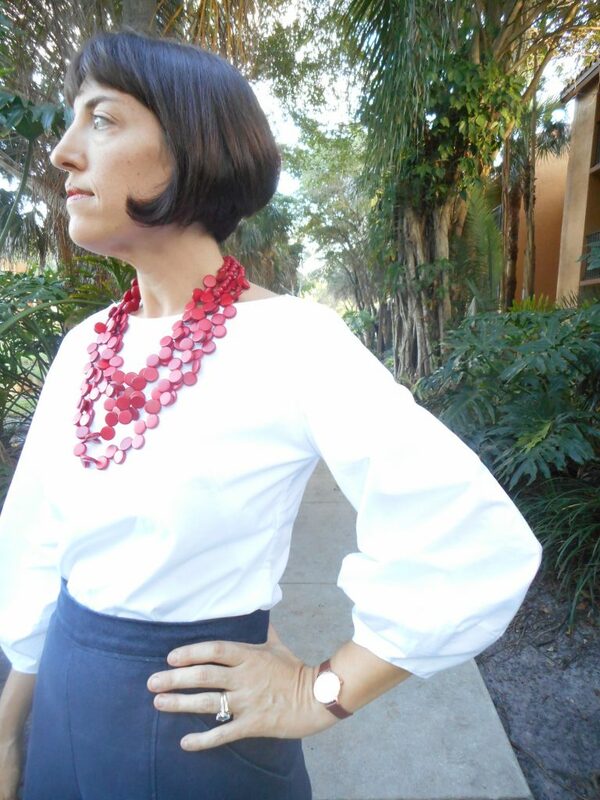 The blouse is also made with fabric from Marcy Tilton, a beautiful White Italian Cotton Poplin that has a lovely sheen and drape and constructed with a double layer of fabric on the front bodice it is perfectly opaque. Always a plus! 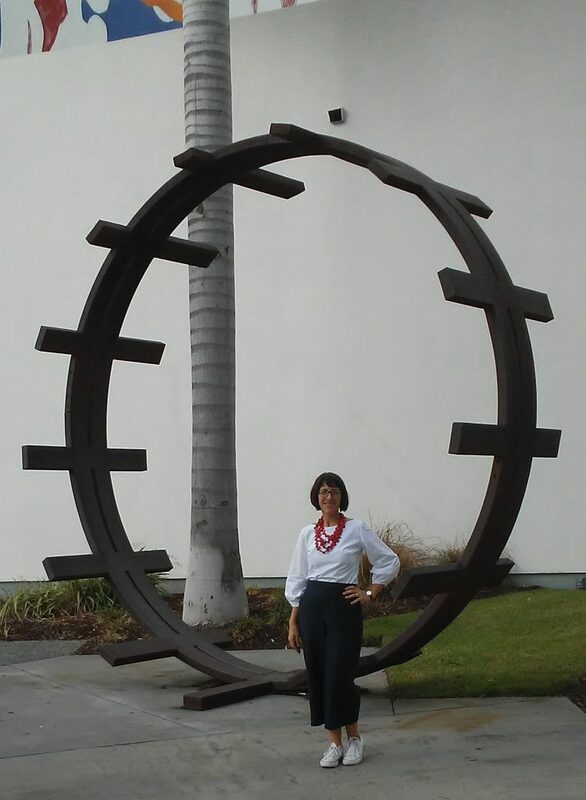 My mother bought me the stunning red wooden necklace you see me sporting in these images when we were out last week at the NSU Museum of Art in downtown Ft. Lauderdale. The necklace really makes this look so dramatic! I feel like Iris Apfel! Thanks Mom! 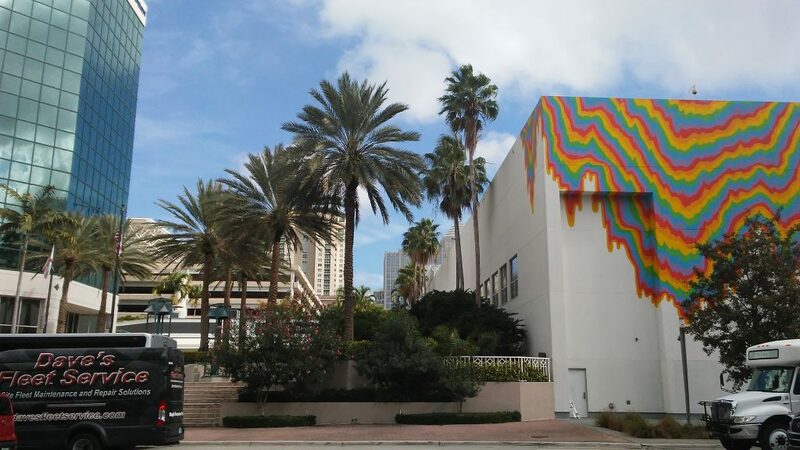 We had a girls day out at the modern art museum and lunch in the café before heading back to pick up the kiddos from school! I’m so glad I’m finally getting more time for myself now that the kids are in school. I’ve missed going out to museums and galleries, the opera, ballet etc. so much! I haven’t done much that isn’t kid friendly in ages and it was so wonderful! The exhibits were really thought-provoking and interesting. The indigo room was a stunning display in glass. The small prints and collages by Francesco Clemente were lovely though the paintings on a larger scale weren’t quite as impressive for all their grand scale. I prefer his more intimate and detailed works. Next we saw the Belief + Doubt Collection which was very dark but beautiful. I needed a bit of a palette cleanser after that imagery so we checked out the William Glackens Wing which showed the artists influences from impressionist to modern. My mom and I had fun naming off each of the artist who influenced each work of art. And then the stunner was the Regeneration Series by Anselm Keifer. A must see! 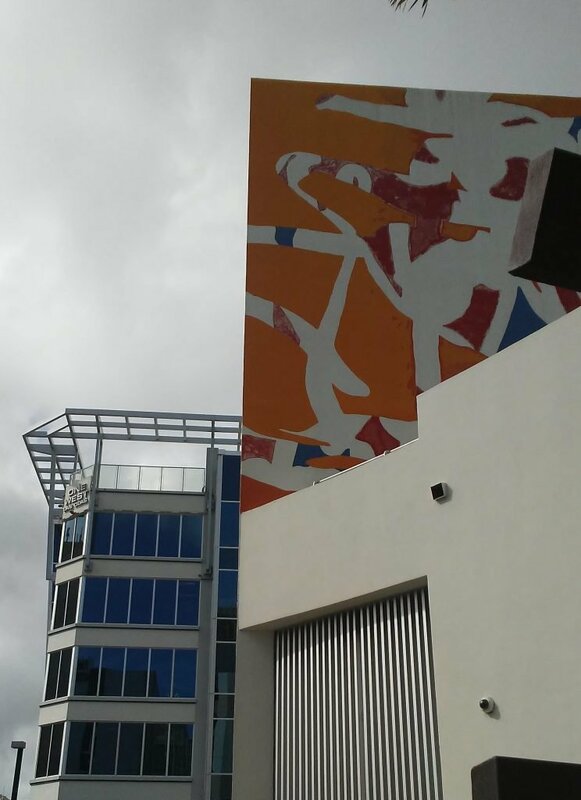 It started with a series of large-scale glassed in sculptures that represented themes from the Kabbalah and then the exhibit transitions to large-scale paintings and prints focused on World War II and Germany. Really awe-inspiring. I was really drawn to his etchings (I majored in Printmaking) and the way he combined prints to create larger scale images. 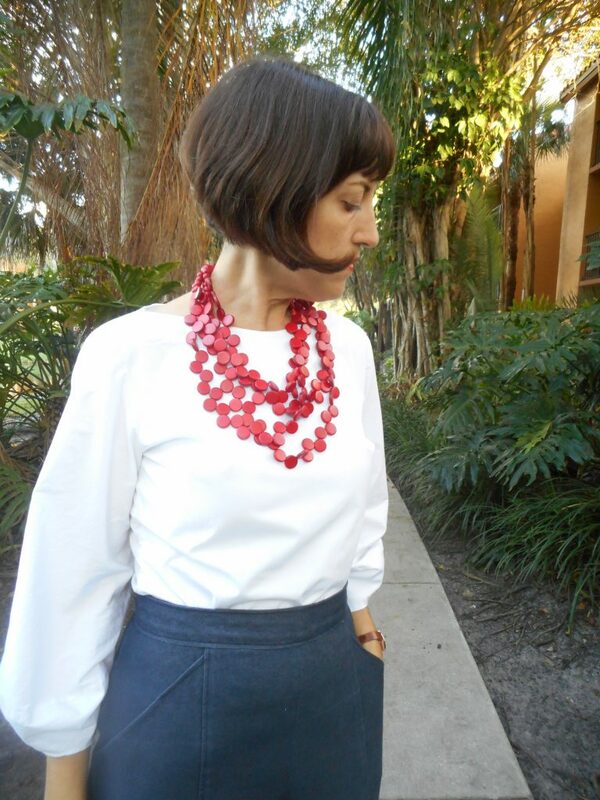 The blouse was originally meant to just be a wearable muslin but it is just gorgeous! I’m using Suzy Furrer’s pattern drafting courses (I listed the one’s I’m taking in my last wardrobe post) on Craftsy and this is my first fully self drafted blouse using what I’ve learned! 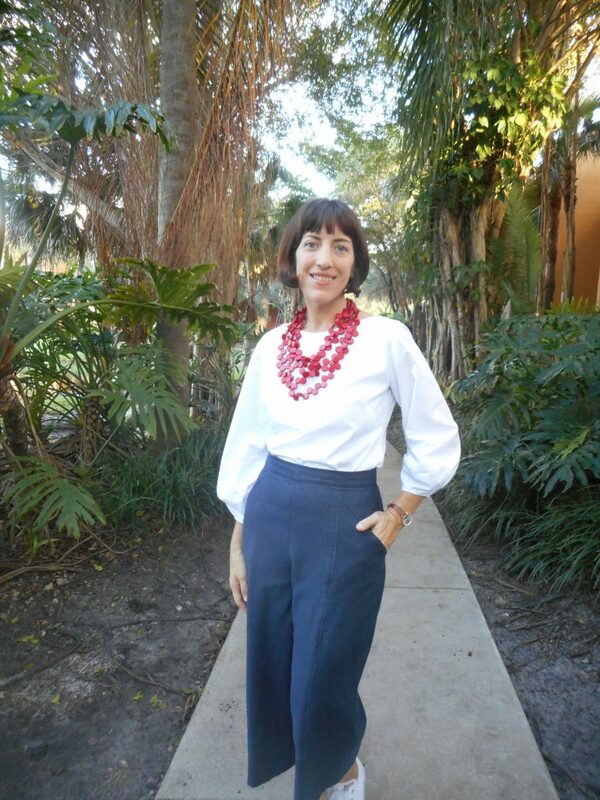 I used my blouse and sleeve sloper and some design features from Suzy’s shell design to make this top. It has a widened angled neckline, back partial zipper, French side darts and a hook and eye top closure. 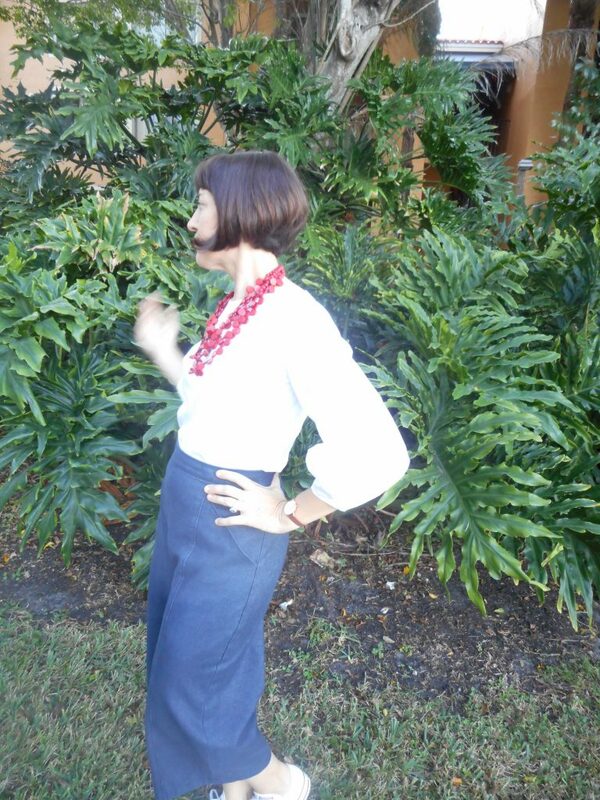 The blouse is fitted down to the high hip so it stays tucked in and gives a nice smooth line. The sleeve is by far my favorite part though! 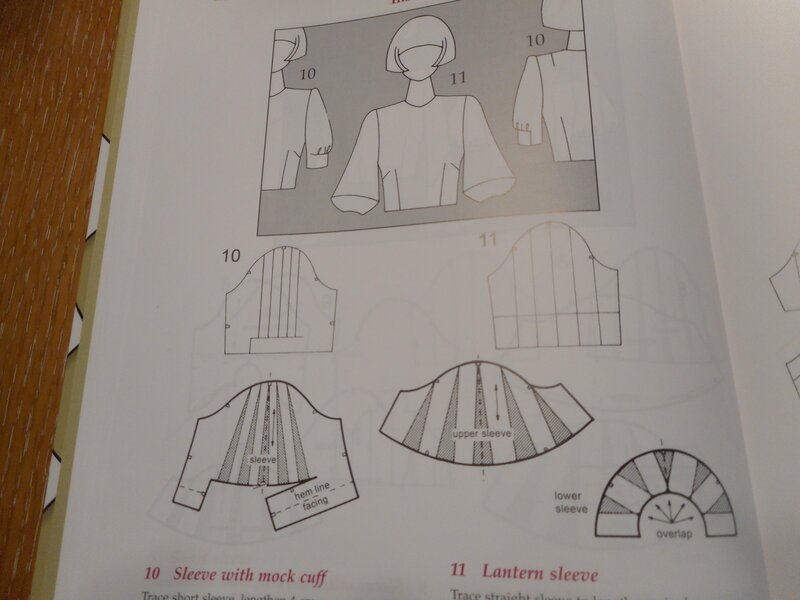 It’s the lantern sleeve (#11 p. 130) from Metric Pattern Cutting for Women’s Wear 6th ed. What a fab book and resource. I’m slowly learning various modification from this textbook. 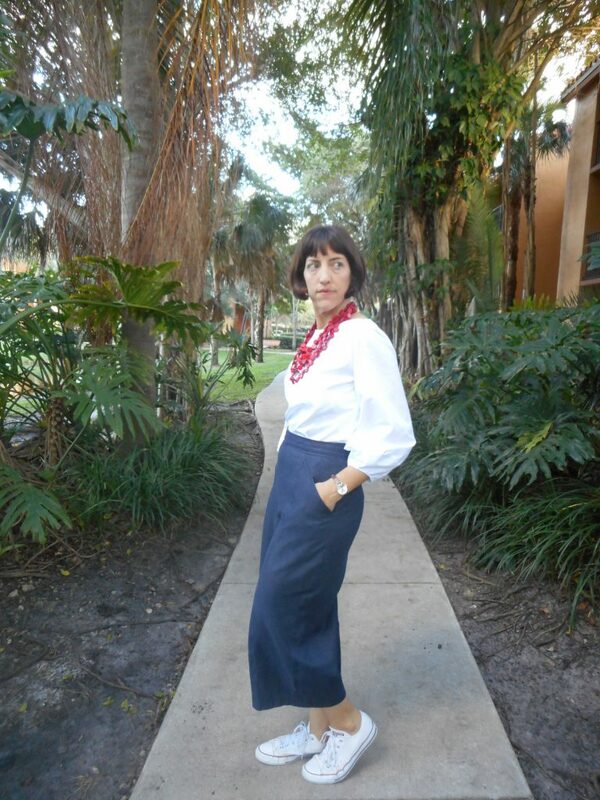 I took my sleeve sloper and did a 3/4 length at 17″ that I then divided it into an upper and lower sleeve. 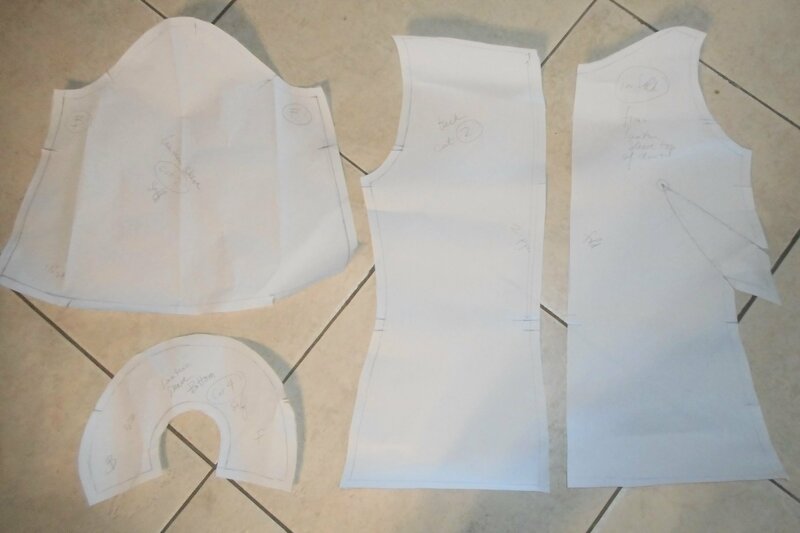 Next you divide the top sleeve into 5 sections and slash and spread to the desired width. 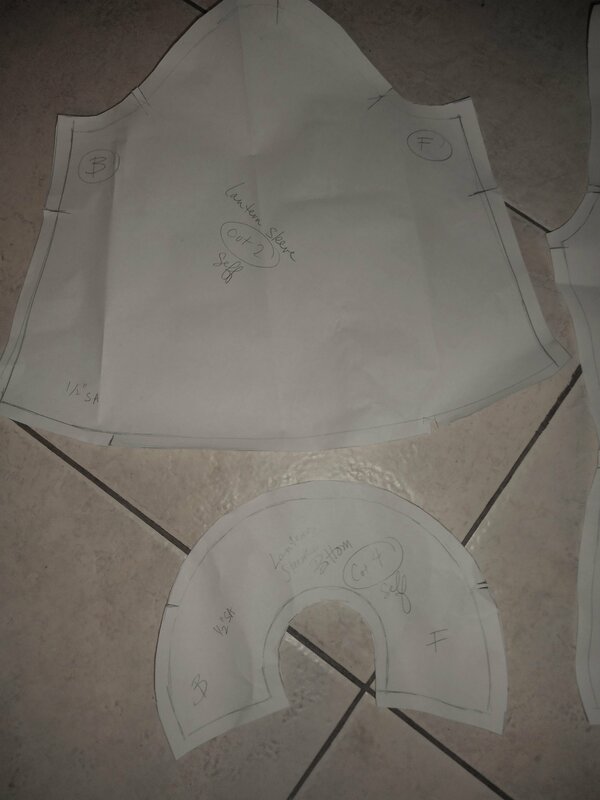 The bottom band is cut the same way with the base of the sleeve left fitted and the seamline widened into a circular shape. I love the dramatic effect. It’s elegant, simple and not too over the top. I’m so impressed with myself for making this up from scratch! 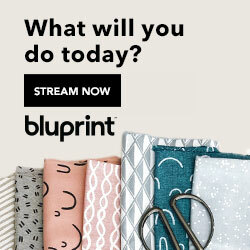 Right now I’m working on a grey ponte Badgley Mischka Dress V1460 and getting ready to start sewing Christmas gifts! Happy Sewing! Thanks Lisa! I just love this look! How cool that it was your concentration in art- Printmaking Rocks! Thanks Morgan! I’m so pleased with how this turned out! I think it would look great as a button down blouse. I’m looking forward to making more variations! 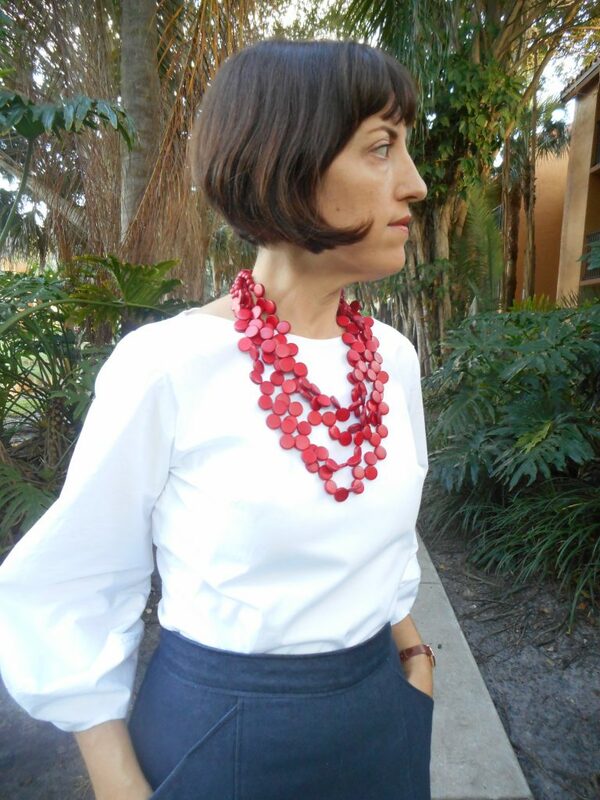 Such a great outfit, very chic for your grown up endeavours! I love your culotte mashup, but I was very excited to see your lantern sleeves – the Aldrich pattern drafting books are so inspiring, nice to see the line drawing “in real life”. Thanks so much Chloe! I do feel very grown up in these new elegant clothes! 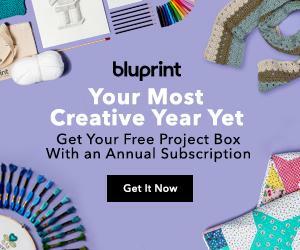 That pattern book is fabulous! I can’t wait to try out some more! Beautiful top – love the sleeves and the whole outfit looks great! Gorgeous necklace too!